Click HERE to view the Cabins video! With its entrance by one of our 150-year-old yew tree trunks covered with honeysuckle, Yew Tree Cabin has a king-size bed, full kitchen, fireplace and pull-out futon. 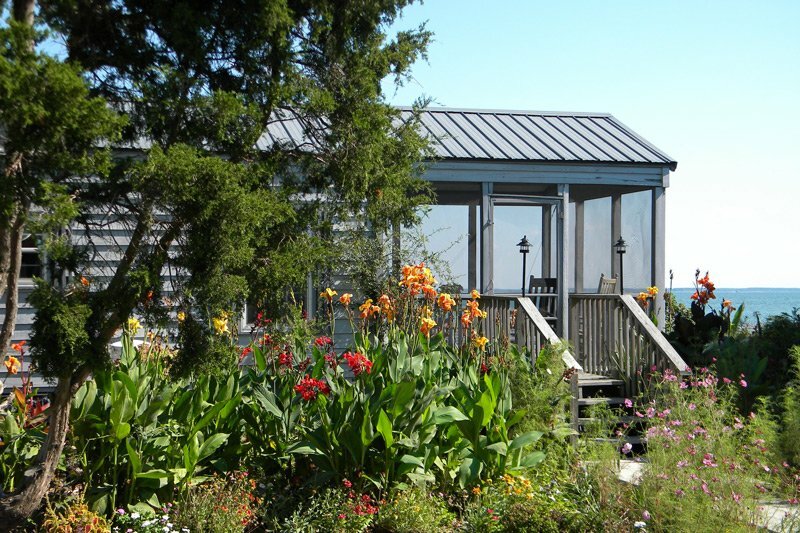 The screened-in porch overlooks the pool and secluded view of the Choptank River under the Chinese elms. Red Cedar is in the middle and has a king-sized bed, full kitchen, fireplace, pull-out futon and private porch with a view of the Choptank River running the length of the cabin. With its large garden and walkway in front, the screened-in porch is slightly more private than the other cabins. 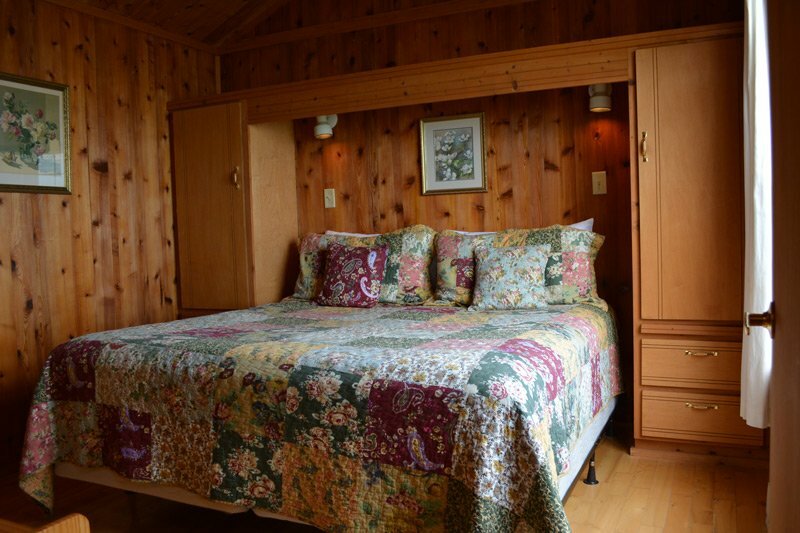 Closest to the water, parking, and dock, Pine Tree Cabin is handicap accessible with a king bed, ramp, shower bench and a cozy love seat in front of the fireplace. 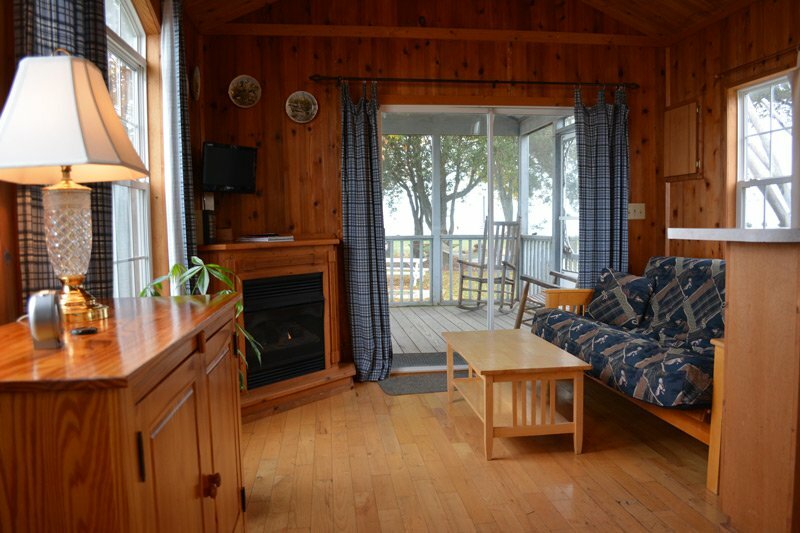 Like the other cabins it is lined with knotty pine and has a full kitchen, screened-in porch, and, located only twenty feet from the Choptank River, it has a grand view of the sunrise over nine miles of water. The Tilghman room has a private entrance from the dining room and is cozy with hand-hewn black walnut beams, a private bath, and a king-size bed. The Aubusson carpets, antique cherub lamps and shades of golds, greens and rose to give the feel of a bridal suite. The daybed and chaise overlook the pool, great lawn, Choptank River and the cross. Click HERE to view the Tilghman Room video! 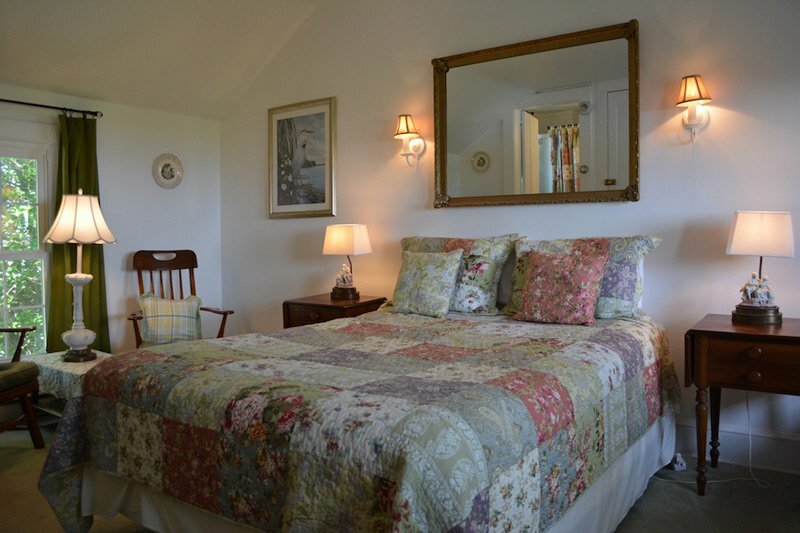 The Bay room is a large airy space with a queen-size bed, daybed, private bath and intimate corner with rocking chairs. The 'blue room' has beautiful maple floors of bird's eye and tiger maple with warm rag wool rugs. Sunsets are magnificent, as are views overlooking the southern tip, western bulkhead and northern bird sanctuary. 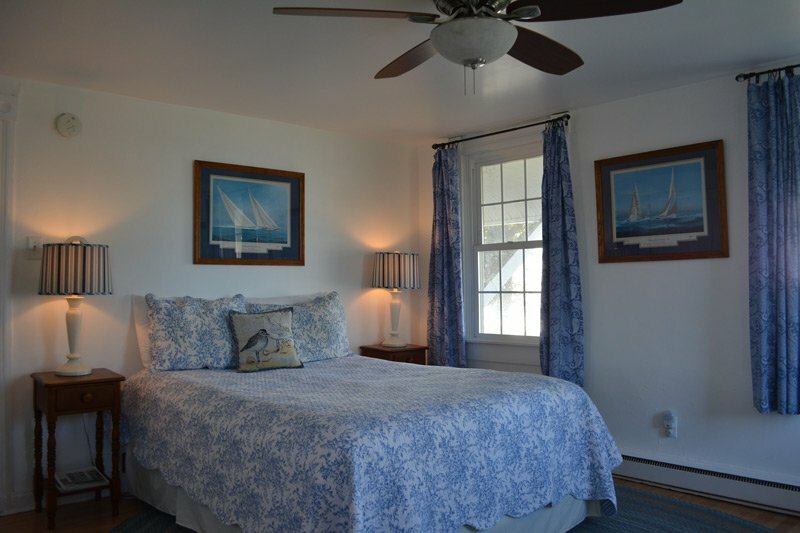 Click HERE to view the Bay Room video! At the top of our quirky staircase nested in the gables is a double bed, vanity, private bath and shower. Built-in trunks on either side of the chimney make it resemble a boat cabin, only the dormer window has one of the best views in the house. Click HERE to view the Attic Hideaway video! 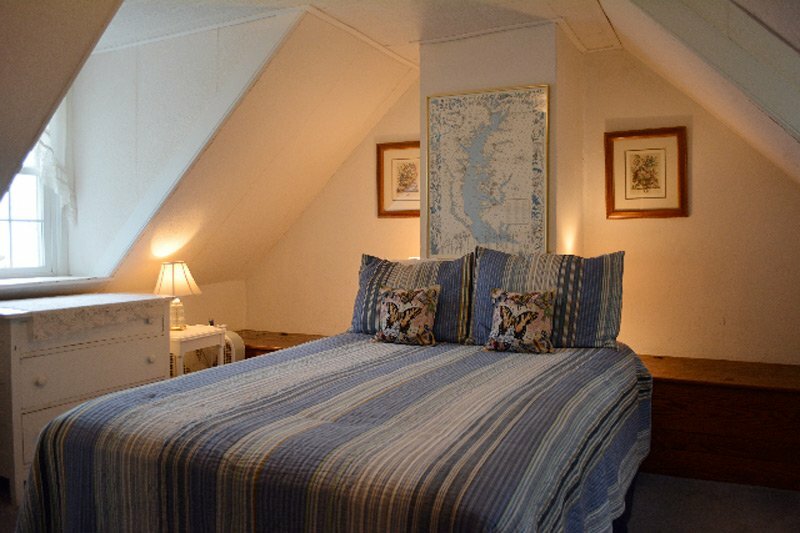 With two steps down or up into the private bath, the Talbot Room is 'sunken' under a cathedral ceiling with a queen and twin day bed overlooking the end of the point. 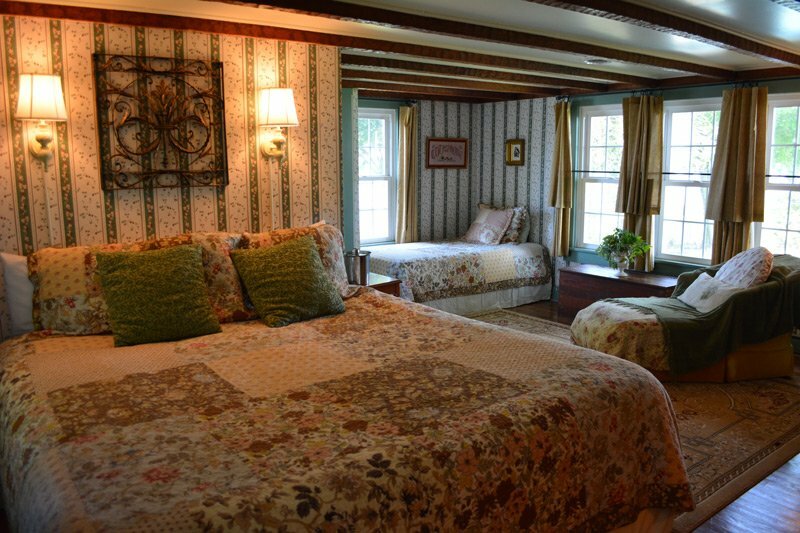 The 'green room' has a cozy sitting area, 19th-century dresser, and large hope chest for luggage.